Several inexpensive USB audio interfaces have hit the market in the past year. They cost between $50 and $150, and offer a single channel mic preamp for use in small-scale portable recording and podcasting. They provide a low-cost, easy way to begin home recording — a single mic and cable together with one of these USB preamps can be purchased for well under $300 and can provide a new recordist with sufficient tools to track guitar, bass, and vocals at home. None of these will replace a multi-channel DAW — but they’re not intended to. These are great for web audio (e.g. via Skype or iChat), for mobile or field use (e.g. where AC power for your high-end rackmount preamps is unavailable), and for low-budget, one- or two-track home recording. I sense the curling upper lip of your inner DAW snob. How can these little all-on-one, bus-powered mic pre/ADC devices possibly sound good? I decided to find out. My research led me to four USB mic pre’s that share a basic form factor: cylindrical, about 5'' long and 3/4'' in diameter. Certainly there are other USB interfaces to try, like the ART USB tube pre, but I liked the idea of limiting the test to devices that shared whatever functional limitations might result from this small size. From left to right in the picture, I tested the MXL Mic Mate, the Blue Icicle, the Shure X2U, and the CEntrance MicPort Pro. It’s clear even from the packaging that the Shure and CEntrance devices are intended for a higher-end market. Simply put, both ship in boxes. The Blue and MXL devices ship in plastic blister packs, the sort that inevitably cut you back when you cut them open. I hate those things. In the hand, as in the box, the Shure and CEntrance units are the most impressive of the lot. It’s all about the mass. Woz and Jobs understood this when they loaded one of the early Apple computer models with weights so the computer would feel more substantial. All the weight may well be in the casing, but the X2U definitely feels solid. It’s heavy, in fact. The case is metal, with two slots for a carry strap. Three thumbwheels on the face of the device control mic gain, headphone volume, and mix ratio. A microswitch enables phantom power, which can be left on between sessions by leaving the switch engaged. Three LEDs indicate USB connectivity, phantom power, and audio signal strength. The controls on the X2U are smooth and certain. The build quality is second to none. The X2U looks and feels like a professional audio device that will last a long time. It would not be out of place in a professional broadcast rig or recording studio. 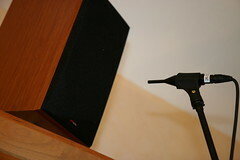 In terms of initial impressions, the MicPort Pro runs a close second place to the Shure. It’s a lighter-weight device, but still feels solid. Two rotary knobs on the side control preamp gain and headphone volume. A button on the bottom of the unit toggles phantom power, which is indicated by a small LED. I found the placement of the headphone jack and P48 button (and LED) on the MicPort Pro awkward. They’re on the bottom end of the cylinder; their placement invariably required me to pick up the interface up to access them. I wish these had been put on the shaft, where the other controls are. The MXL Mic Mate is a simpler device. It is a plain cast-aluminum cylinder with a USB jack at one end and an XLR jack at the other. Midway along the barrel is a 3-position switch marked “HI MED LO,” for mic gain. Next to the switch is a red LED to indicate USB connectivity. It all feels solid enough but somehow reminds me of inexpensive imported microphones. Of course, many inexpensive imported microphones do a great job for the money. We’ll see if the same thing is true of the Mic Mate. Based on this initial inspection, I was least impressed with the Blue Icicle. It is both the longest and fattest of the four interfaces in this test, but the lightest weight. At 45g, it feels insubstantial. More critically, the casing feels very thin, and it sounds hollow when I tap it. I think I could crush it or bend it in two without too much effort. Put another way, you wouldn’t want to inadvertently step on this thing. Don’t let this end up on the studio floor with the cables. The Icicle has a single control — a rotary gain knob located on the shaft of the device. The embossed “Icicle” logo, and a ring around the gain knob light up to indicate USB power. I’m aware of Blue’s predilection for whimsical design, but my impression of the Icicle is that it’s a toy. Needless to say, the sound isn’t in the design or the housing. It was time to fire them up. I tested all four interfaces in three basic applications: IP telephony (Skype), voice recording and instrument recording. For the recording tests, I used a freeware audio application called Audacity. Apple’s GarageBand would also work. For voice tests, I first used a Karma K35 — a large-diaphragm FET condenser, set to Cardioid. This is a basic imported condenser mic with a K67-style capsule and a street price of about $170. 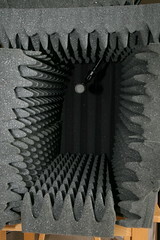 I put the mic in a makeshift 2'x2'x2' isolation chamber to reduce some of the ambient noise, and maintained a uniform distance of about 20'' when recording the samples. Then I repeated the VO test with a Shure SM57, using a smaller “booth” (about 10'' wide by 15'' tall) and a closer working distance, about 8''. The SM58 is a more-traditional choice for vocal applications, because the built-in foam windscreen reduces popping, but otherwise the two mics are the same — and the 57 sounded pretty good here. For the instrument tests, I used an Avenson STO-2 omnidirectional condenser, set up about six inches from the body of a hammer dulcimer. I played several takes of the same chord progression with each USB interface, matching gain levels as closely as I could. 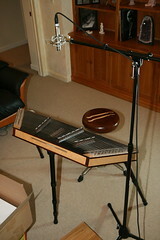 For the STO-2 dulcimer test, I recorded the same passage into my DAW, a Black Lion modded Digi 002R. All the above samples were recorded at 16 bits, 44.1 kHz, even though the MicPort Pro can run at 24/96. Proper gain staging is critical for any sort of recording. Too little signal is far preferable to a signal that clips, but clearly the results are improved if the levels are sane. The MXL Mic Mate proved frustrating because its output level is so low for quiet sources. Even with the gain switched to the “HI” position, this device’s output level was consistently and significantly lower than all of the other interfaces during my VO tests. I tried it with multiple microphones, both condensers and dynamics, to see if there might be some sort of issue with phantom power or impedance. But in every voice test, the Mic Mate produced the lowest-level signal. The other three interfaces in this test include published gain specifications. All three show a max level of +40dB. I expected their output levels to therefore be equal (at max gain), but this was not the case. To get a handle on the issue, I plugged a pink noise generator into my stereo at a fixed volume, placed a mic in front of the speaker cone at a fixed distance, and recorded a sample of the noise with each of the USB audio interfaces. In each case I set the USB interface to its max gain setting. I then measured the audio level of each sample. The levels are arbitrary, as was the volume of the noise generator. But we can compare the levels — and the disparity is enormous. A change of 10dB is generally perceived to be twice as loud. Therefore the Icicle, at -2dB, produces a signal more than four times louder than the Mic Mate (-24dB). The Icicle is unique among these devices for offering a digital gain control within its driver software. 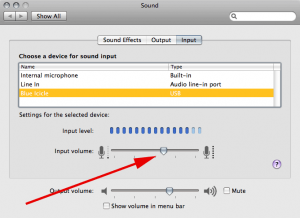 Under OS X, in the Sound preference pane, the input level of the device can be adjusted. This feature can be used in conjunction with the analog gain knob on the Icicle to produce an appropriate signal level without overdriving any of the components in the signal path. Curiously, the Mic Mate later gave me a different sort of gain problem. Plugged into an omni condenser set up as a mono overhead above my drum kit, the Mic Mate’s signal was too hot. Even on the “LO” setting, the preamp electronics clipped. In contrast, all of the other three USB interfaces, dialed down to a relatively low gain setting, produced a perfectly usable track. I think the problem is that the 3-way gain control on the Mic Mate is just too coarse; it doesn’t offer a sufficient range of settings to accommodate either quiet or loud sources. So, if you intend to use the Mic Mate for loud sources, you may well need an inline pad to bring the mic’s output level down so as to avoid clipping the Mic Mate’s amplifier circuit or ADC. I used the “Skype Test Call” service to record short samples of my voice with each of the four USB interfaces. They all sounded fine. Needless to say, this is a low-fi application, and all four interfaces passed the test easily. The signal-level LED on the X2U came in handy in this application. Actually it came in handy in all applications. The Mic Mate signal was about 20dB lower than the rest. After I’d normalized them all to equivalent levels (-8dB), the noise level in the Mic Mate sample was audibly higher than in the other three files. I think the other three samples sound great. The MicPort Pro has the least noise, but the difference is subtle. In fact, I’d be hard pressed to pick a winner from these three. My results using an SM57 were very similar to the above — the signal of the Mic Mate was lower, and after normalization the noise level in that clip was audibly higher, to the point where the audio would not be usable for any sort of recording. Also, unless I’m being misled by the noise level, the vocal sound has less meat than it does with the other interfaces. The sound of this interface seems thin. The other three are similar, but after repeated listens I developed a slight preference for the Shure X2U. The noise level is a bit higher than on the MicPort Pro, but the vocal sound is richer. The MicPort Pro sounds great, though. It has the lowest noise of the lot, and the audio quality is excellent. The Icicle takes 3rd place in this test. Its noise level works against it, but more than that it seems to break up a bit on the ‘S’ sounds. The esses sound a little bit like eshes to me. I first recorded the hammer dulcimer with an Avenson STO-2. But I matched all the gain levels to the Mic Mate, ending up with levels that were far too low for a 16-bit recording. Compounding the low signal level problem was the self-noise of the STO-2, which is relatively high at 28 dBA. These are beautiful microphones, and in fact are my favorites for recording the hammer dulcimer. But the resulting tracks all sounded pretty poor. So, I recorded all the tracks again, swapping in a mic with much less self-noise, the 3 Zigma CHI (7dBA). And I used better gain staging (except on the Mic Mate, which doesn’t have sufficient control.) Note: if you want to listen to these blind, close your eyes before the player widget fully expands, as the interface in each clip is named in the title. The Mic Mate stands out as the noisiest again — listen to the last few notes fade away, and the hash is apparent. Also, I hear less of the impact of the hammers on the strings, as if the transient response is somehow a little bit off. In a blind test I could also identify the Icicle, due to its noise level. The X2U, MicPort Pro, and 002R tracks all sound really good. I think the X2U track might have a tiny bit more noise, but in the context of a mix it would be negligible. In fact, within a mix I doubt anyone could distinguish among these three tracks. The Shure X2U wins the prize for best interface design. They thought through the details: the controls are all front and center while the interface is laying on a table. The +48 button is an actual switch, not just an electronic toggle button. There’s a 3-color LED to indicate signal/peak/clip, and the manual documents the sound pressure levels that correspond to each color. Good interfaces give feedback. It’s as simple as that. Kudos to Shure for implementing this feedback mechanism into the X2U. None of the other interfaces had any sort of level or clip indicator. 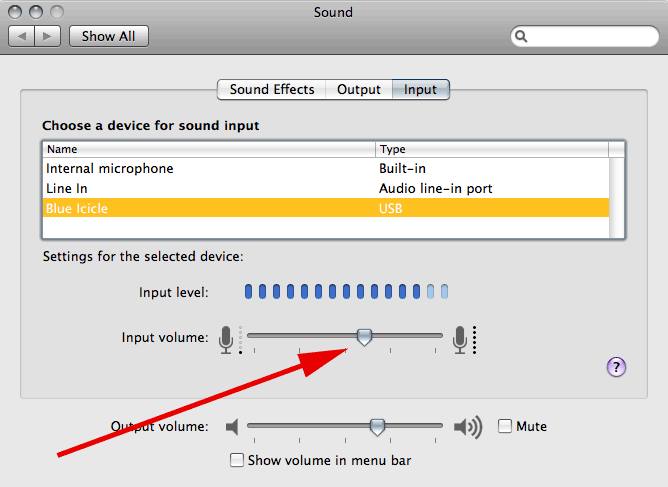 It’s possible to open the Sound preference pane (for OS X users) to see input levels there, but in practice this is awkward because the screen is likely to be filled with whatever audio software is in use. Moreover, it’s not usually desirable to have the laptop close enough to the instrument that the player can see it, because the microphone would pick up the sound of the computer fan. The X2U and MicPort Pro are designed to lay on a table without rolling around. For my purposes, this seems like a good thing. The X2U gets the nod here again because it’s both squatter and heavier, making it more stable. That said, if you’re plugging the interface directly into the mic, with no XLR cable, then you might well prefer the lightweight Icicle, which would put much less strain on your mic’s XLR jack as it hangs in space behind the microphone. CEntrance has a nifty driver that aggregates multiple MicPort Pro devices into a single stereo input. This is a clever solution. OS X can do the same thing natively, and in my tests happily created a single stereo “aggregate” input comprised of a MicPort Pro and X2U, or an Icicle and Mic Mate. Not all applications support aggregate inputs, though; Audacity couldn’t record my hybrid input. But GarageBand worked fine. Here’s a video tutorial and demo of recording in stereo via USB. I measured phantom power in DC volts between pins 1 and 2 of the XLR jack. In the case of the Icicle, I couldn’t trigger its automatic phantom power switch, although it was generating 44V anyway. Presumably it generates a full 48V when the switch is triggered. I have no affiliation with MXL, Shure, Blue, or CEntrance, and received no compensation from any of these companies for including their products in the review. I acquired the four devices reviewed here via retail channels. The world of 24-bit USB audio has finally expanded to include numerous low-cost, high-quality portable preamp/interface devices. Read below for the original, state-of-the-art 2009 conclusions, or click through to our updated USB audio interface shootout, in which the Micport Pro makes a second appearance. If you are shopping for the most compact interface available, stay on this page. If you’re shopping for a home studio solution, check out the newer review, which includes primarily two-channel desktop devices. They’re small, but not this small. Let’s get the obvious part out of the way first: The MicPort Pro is the only 24-bit ADC in this test. The other devices will only produce, at best, 16-bit audio at 48 kHz. 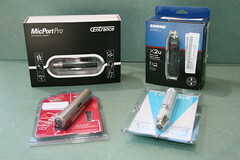 Therefore, if you need 24-bit audio, or 96kHz audio, the CEntrance MicPort Pro is the only solution. At least until the next generation of competitive USB interfaces hits the market (prediction: 3 months … Update 2011-03-13: I wildly overestimated the manufacturers’ willingness or ability to create 24-bit USB audio devices. There are a few 24-bit USB microphones but the format is not ubiquitous as I expected.). The MicPort Pro is the most expensive USB interface in this test, but compared to high-end mic pre’s, it’s a bargain at $150/channel. It’s small, portable, reasonably well laid-out, and it sounds as good as my Pro Tools rig. You won’t go wrong with the MicPort Pro. The Shure X2U is my personal favorite USB interface. It wins the usability analysis by a large margin. It has a mix-ratio control, useful for blending prerecorded with live tracks while recording. It costs less than the MicPort Pro. And it creates pristine tracks. For 16-bit audio, the X2U is a winner. Blue’s Icicle is worth considering too. It is inexpensive, at $50-$60 street. It’s a little noisier than the higher-priced interfaces, but packs a metric ton of gain into its amplifier. For ambient or distant miking, the Icicle wouldn’t be my first choice due to its noise level, but for close-miked instruments I think its sound quality is hard to distinguish from the others. And its lightweight build could be an advantage in some situations. In my experience, hearing differences in preamps and converters is a lot harder than hearing differences in microphones. So it’s not a surprise to me that the major distinguishing factor among these four devices is the noise level. That said, having the X2U and MicPort Pro capture a mono track of the hammer dulcimer that is virtually indistinguishable from my upgraded 002R is pretty amazing. 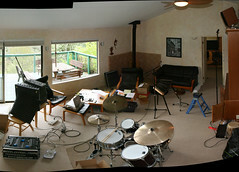 This test took over my living room — mics, stands, and cables everywhere. Check out the wreckage. Yes, it’s a good thing the family is out of town. What’s on your mind? The comments are open. See also our Editors’ Choice listing of top voiceover/podcasting gear. BTW, my choice is purely for recording whilst away from the “mothership”. A very interesting and detailed report. I have been looking for a device to replace the Griffin Imic I presently use to interfacet a dynamic microphone with some spectrum analyser software. My problem with the Imic is it’s inherent noise which reduces what I can see below 30dB from 4KHZ and above. I guess the imic may also use the same ICs as the above but would your gut feeling be that any of the above tested have less noise than the Imic. When handled I also notice static clicks and pops from the Imic device. Given it’s thin plastic case did you notice this with the Icicle? @Kim, I did not specifically test susceptibility to handling noise, but I did not notice any during the tests. The X2U is for certain not going to click or pop — I know this because I bought one. The Icicle is audibly noisier than the X2U and MicPort Pro, so if you want a low noise interface, then I recommend the X2U or MicPort Pro. This is the BEST review I’ve seen so far! Very technical unlike other people who unprofessionally review on such, misleading noobs like me huhu. Anyway, if I buy the X2U, is it still necessary for me to buy a pop filter? Thanks. Just to add to the list of THANK YOU!! I was trying to decide between the Mic Mate and the Micport Pro and you made the decision easy to justify the extra cost of the Micport. Thanks for taking the time to save others headaches and especially MONEY! Very disappointed with the Icicle, poor sound quality, after 20 seconds noise interference and a 1 second delay….Regret purchase. @Q, I didn’t have any delay problems with any of these. You might have a driver conflict. But I’ll agree that the Icicle was too noisy for me. I’ve had good luck since this test with the X2U — which Shure is revising with a higher-gain preamp. The Micport Pro is, I believe, still the only pocket-size 24-bit USB preamp. So much for my prediction! nice review. I bought the shure and micport a couple years ago. both tested well, the Shure sounded slightly better for voice imo with my setup. quick note: if windows 7 (or other variants) are boosting the recording volume a lot inside windows, it will cause users to turn down the mic preamp on the mic too low, which will lead to hiss. (skype and others will automatically adjust this level if the input seems to quiet…so you might need to readjust from time to time). My solution is to right click on the speak in the lower right of the screen, select recording devices, select the unit, properties, levels. For the shure, I’ve found that setting it on 5 will be optimal, then adjust the gain on the unit to record a good level. Hope that helps someone. Hey! I am looking for some help. I have audacity to record, I am using the SM57 Mic, and the icice to record my vocals. I’m working on upgrading but whenever I record. My voice sounds terrible and is almost impossible to hear. What could be the problem? Is there any chance it could be my laptop? Your voice test of the SM57 and Icicle sounds a hundred times better any test I’ve done. @Ryder, I can’t really offer tech support here, but the first things I’d check are whether the SM57 and the Icicle are working properly. Do either sound good in any other test? Can you rule out either of them as a source of failure? Secondly, check the gain on the Icicle driver software; make sure it’s not so hot that it is distorting. THANKS! great review, well done. i’m recording in Auria (check it out, new and amazing for the iPad) as a backup when power outages hit my studio. was just going to order micport pro and after your article, it confirmed what i needed to know. 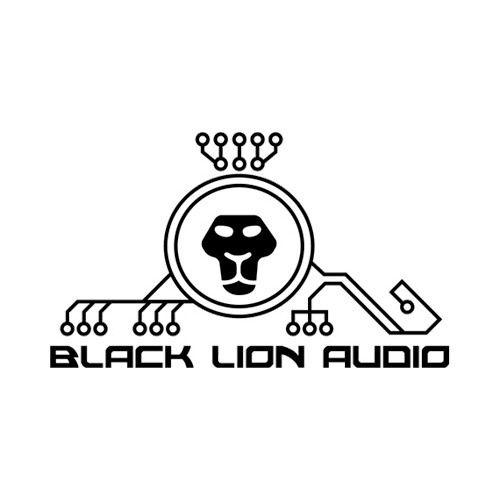 i do need lowest possible noise and best possible quality, we do lots of tv/film music, mostly songs with pro vocalists, and using neuman mics. and we have artists fly in from europe to record too, so this’ll get me able to record 24/96 vocals with no power! THANKS THANKS THANKS… best wishes with your music & projects…. and have a good life. This review was EXTREMELY HELPFUL! So I just wanted to say thanks. Also, your comment above from March said that you weren’t aware of any 24-bit solutions except the Micport Pro. Does that still hold true? And when does not having 24-bit capabilities become an issue, in your opinion? I produce documentaries and record sounds/voice narrations to my Fostex FR2Le and a small collection of mics (Oktava – Rode – AT – M-Audio). I was looking at recording directly to my laptop instead of to media and then to laptop for editing. I am looking forward to trying the Shure X2U. Thank you very much, Matthew, for a very thorough review and comparison! I am starting my voice over business and the Micport Pro has gotten rave reviews by many voice talents, including Harlan Hogan. Is the Shure X2U just as good for voice over work? I did see that someone is using the X2U got VO with great results. @Jeff – in this ultra-compact form factor, I think the Micport Pro might still be the only 24-bit solution. But there are numerous 24-bit interfaces now (in 2012) that are bigger and offer more features. I’ve just added a link to our updated USB interface review; find it in the “verdict” section of this page. @Bottomzone – any 24-bit device will have a lower noise floor than a 16-bit device like the X2U. Since this 2009 test, we’ve found that both the X2U and MPP have been surpassed by devices from other manufacturers — albeit in a larger form factor. If size is a key factor, the X2U and MPP remain viable choices, so long as you’re using a condenser mic. I think neither has enough gain for use with dynamics. 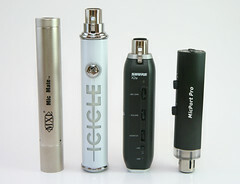 If you can use a larger device, see our updated USB mic pre/interface shootout, as noted above. I’m a novice at this laptop voice recording, but I do a voice feature for CBS which is recorded in-studio. I need to broaden my reach, so I’m putting together a voice recording system using my laptop. Your review was invaluable. Question: I have a Sony condenser microphone (ECM 737). It has a 1/8th inch output plug. With an adapter, is this compatible with the Shure X2U? @Doug, unless you’re convinced that your ECM737 is the only mic that works for you, I’d strongly recommend getting a mic with an XLR output, and one of the 24-bit interfaces recommended in our newer USB interface review. Or if portability is your concern, go with the Micport Pro and a condenser mic (because the MPP probably doesn’t have enough gain for a dynamic mic on VO). Absolutely, a most fantastic review. Thank you for all of your hard work that you put into this. I use an Icicle, but this has reaffirmed my decision to bump it up a notch to the Shure, as I am in love with my Shure microphone. Have a great day, Shel. Can you give me a suggestion to a setup for recording trumpet for a laptop remote studio on the move? Not a blasting trumpet, but a softer sound. USB interface for pro tools or reason. Thanks you for your time and expertise. As the secretary of my organization, I’m looking at the Shure X2U as a recording interface into GarageBand for a large meeting. would it pick up voices at a distance without a great deal of “other” voices/mumblings? I’m not educated in the 24- vs 16-bit lingo but need an easy transport with plug-n-play capabilities for recording minutes. Will this do it? @Marilyn, you’re describing a microphone problem, not an interface problem. That said, using a 24-bit interface will definitely give superior results for your application. Any single microphone in the middle of a room will record a lot more noise, and a lot less voice, than if every speaker was near to his/her own microphone. IMO, a boundary mic that has low self-noise, coupled with a 24-bit audio interface, should give you workable results. But if the room has a lot of HVAC noise (I’ve been in some rooms with screaming loud air vents), or if the table is very large which means the guys at the head and foot are more than 6 feet from the microphone, then you’ll have some problems with audibility. You might want to buy two microphones and a stereo interface; that won’t be any less portable, but will give you the option of much better coverage of large rooms/large tables. If the meeting is primarily a presentation style, with one person speaking, find an omnidirectional lavalier mic and have the presenter clip it to his/her shirt. That will give you much better sound quality than a boundary mic on the table six feet away. In all these scenarios, a 24-bit audio interface will give you a much lower noise floor than any 16-bit interface.